Charlotte, NC (BlackNews.com) — Barely standing 5 feet tall, 11-year old day trader, Christon “The Truth” Jones is on a mission to help 1,000 people become successful. And he does it one stock at a time. Yes! He’s a day trader on the U.S. Stock Market, and the CEO of Return On Investment, LLC. At the age of 8, Truth faced off with his own bullies and penned his first book, The Win Within, to help other kids. He made $5,000 in 90 days by peddling his book door to door. A bestselling author by the age of 10, Truth’s investor students of his Truth Success Series, an online mastermind course, include adults who want to soak up his wisdom. His success has garnered him both national and international attention. For example, residing in Germany with his military mom, Truth is on his way to Charlotte, NC on June 8, 2018 to hopefully accept the Black Enterprise Teenpreneur of the Year Award. Plus, as a skillful keynote speaker, he has already addressed audiences on three different continents. At nine years old, home-schooled Truth caught a story of a 14-year old investor who made $50,000 and he was instantly bitten by the investor-bug. His mom took an investing class; Truth soaked it all in; and a bonafide investor (whose mom still needs to make his actual trades for him) was born. So what’s his secret to how he earned $10,000 in just a few short months of day trading? T – Tap 20 companies that you really like. Be sure to choose companies in which you already buy their stuff. R – Research these companies and find everything you can. Read AND watch the news. U – Understand the company’s historical data. How has it been performing in the past? There could be key indicators to predict its future performance. T – Trade AFTER closing. Day trading can be an emotional roller coaster. Sleep on it and trade the next day. H – Have an entry & exit strategy. Know what your bottom line numbers are, to determine when you will buy the stock and when you have hit your profit number so you get out. And stick to it! Nailah Ellis-Brown, maker of Ellis Island Tea, is the only female African American beverage maker in the United States with her own manufacturing plant. Her family recipe for Jamaican Sweet Tea can now be found in the coolers of every Sam’s Club location in the country! DETROIT, MI (BlackNews.com) — Detroit entrepreneur Nailah Ellis-Brown is defying the odds. At the age of 20, she started her hand-crafted tea business during the height of the Great Recession in one of the hardest hit cities in America. 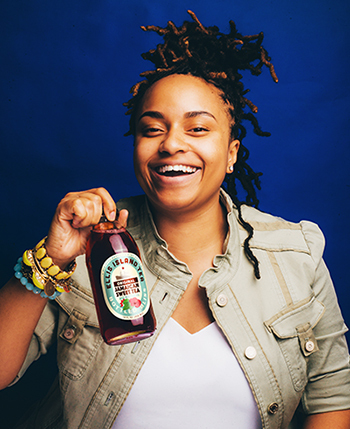 She should have failed.Instead, today Ellis-Brown’s business is thriving – she has her own beverage manufacturing plant and has just inked a deal that will test her family recipe for Jamaican Sweet Tea in every Sam’s Club location in the country beginning on May 16. Ellis Island Tea is not just any iced tea. It is the only Jamaican Sweet Tea made in America! It is an all-natural bottled tea made from hibiscus with a smooth, refreshing flavor. Its rich red in color makes it a standout on store shelves and at events and parties. Starting her own company back in 2008 stemmed from Nailah Ellis-Brown’s lifelong desire to become an entrepreneur. Choosing to brew Ellis Island Tea came from her hope to carry on her family legacy. Ellis Island Tea is based on a recipe created by her Great-Grandfather Cyril Byron, a Jamaican immigrant, chef and entrepreneur who told his family the recipe was to be “Sold, not told.” Ellis-Brown honors those words every day working from her company headquarters in Detroit where the tea is brewed. the habits that will help you achieve a life of success. EDWARDS, CO (May 2018)–With graduation coming up, all your hard work is about to pay off. You’ve invested in an expensive formal education to ensure your bright future. That’s half the battle, says Paul G. Krasnow. But it takes more than a formal education to guarantee a great career. These habits, along with a strong work ethic, are your most valuable skillset and the real differentiators that fuel your career–not necessarily your formal education. It’s also important to hit the ground running after graduation. There’s no better time to set a path toward financial success than right now, when you’ve got youth on your side. Krasnow’s habits are what helped him build a career from the ground up. 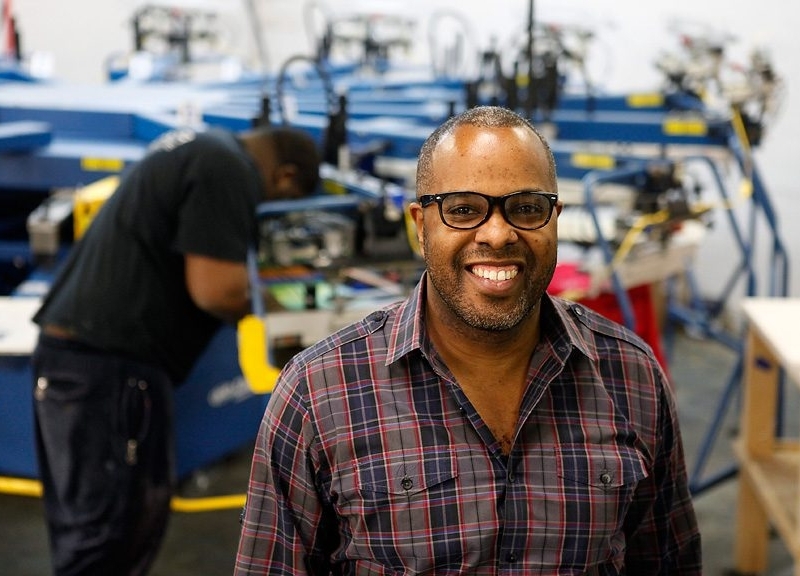 Following early success in the clothing industry, he experienced a financially devastating bankruptcy that forced him to rebuild his life from scratch. He went on to join Northwestern Mutual Life Insurance Company, where he’s been a top producer for 40 years and has won many “Top Agent” titles. In tThe Success Code, Krasnow lays out the no-fail formula that took him to the top of his industry. Keep reading to learn his best practices that will bring you unprecedented success for years to come. FUEL YOURSELF WITH MOTIVATION. Krasnow says that one advantage of being young is that you have hunger and “the spark.” Hunger is the drive that pushes you to work hard. “The spark” is the excitement, energy, and anticipation of fulfilling your dreams. Seize this motivation and let it fuel your ambitions. And speaking of ambitions: If you haven’t done so already, figure out exactly what you want to accomplish in your life and write up a description of the vision you would like to bring into fruition. Let this vision motivate you to strive for exactly what you want for your life, and accept nothing less. SOLIDIFY YOUR WORK ETHIC NOW. Today more than ever, you must have an iron-clad work ethic to succeed in your career. This means being punctual, professional, responsible, self-disciplined, and productive. Be honest with yourself about which of these qualities you already possess and which you need to work on developing. Don’t feel discouraged if you currently fall short in many of these areas–they can take time to master. Instead, commit to sharpening each of these qualities to the best of your ability, and people will start taking notice. FINETUNE YOUR FOCUS. Today’s employees have greater responsibility and less time to complete their work. This forces them to multitask, yet most people are terrible at multitasking. Plus, they are constantly interrupted by email, smartphones, and social media. Krasnow says success often comes down to your ability to tune out all of this “noise” and get focused. ENGAGE WITH YOUR CLIENTS. Building and nurturing solid client relationships is the cornerstone of any successful business. To foster engagement, Krasnow says to commit to a personal code of integrity to ensure clients that you will work hard for them and that they are in good hands. GET SOME GRIT. From time to time, you will inevitably fail, lose, or experience some kind of a professional or personal setback. When this happens, Krasnow insists that you’ve got to deal with the loss and move on. There’s no benefit in wallowing or succumbing to fear or anger. WORK SMARTER, NOT HARDER. Krasnow recommends doing an audit of how you currently spend your work time. Take a moment to identify your most important recurring tasks, determine how long they take, and identify tasks that could be completed more quickly. Then, learn to prioritize your daily goals. Create a to-do list and divide your tasks into three categories: critical, high-priority, and low-priority. Tackle each task in order of priority. NEVER STOP COMPETING…WITH YOURSELF. Krasnow recommends using a practice he calls “the push-up principle” to achieve personal goals by starting at your current skill and ability level and consistently moving up from there. This process naturally leads to self-improvement through small, manageable steps. HONE AN IDEAL IMAGE. 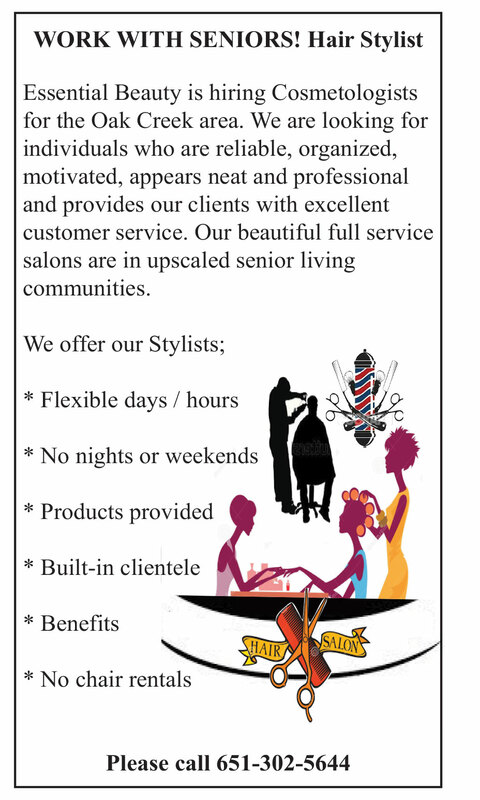 Your appearance should reflect the quality of your services, says Krasnow. Therefore, it pays to think of your health and wellness as an investment in your success. Without a strong, fit body, it’s difficult to have the stamina to do your best at work. BECOME A WHOLE PERSON. Your success, and, ultimately, your happiness, lies in your ability to become a “whole person.” Krasnow says this means having a balanced and rich life in all areas of your existence. No matter how much fulfillment you get from your career, you still need to expand your life and enjoy _all_ it has to offer. 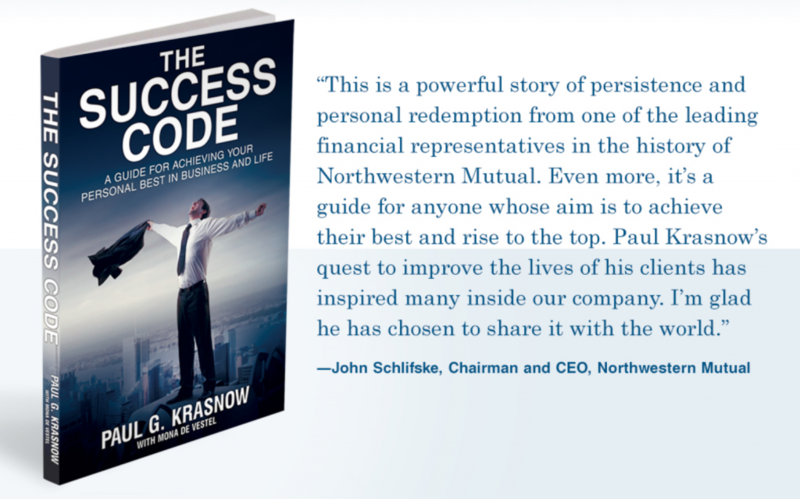 Paul G. Krasnow is the author of _The Success Code: A Guide for Achieving Your Personal Best in Business and Life_. 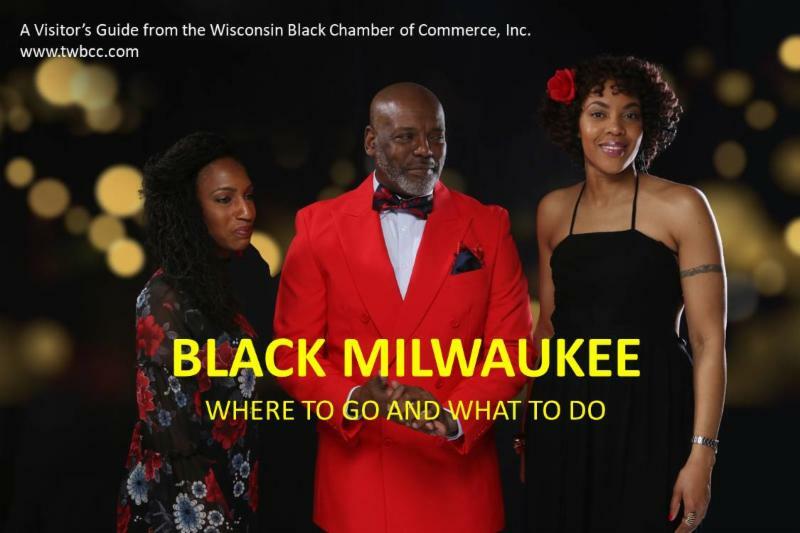 He is a financial representative at Northwestern Mutual Life Insurance Company, where he has been a top producer for 40 years. Early in his career, Paul suffered a financially devastating bankruptcy with a line of clothing stores he owned, but went on to join Northwestern Mutual, where he has created an impressive financial portfolio and a strong network of clients, many of whom have become lifelong friends. Paul regularly speaks for multiple life associations in the U.S. and has given seminars for law firms and CPA firms in the Southern California area. FOR MORE INFORMATION, PLEASE VISIT WWW.PAULGKRASNOW.COM. _The Success Code: A Guide for Achieving Your Personal Best in Business and Life_ (J & K Publishing, 2018, ISBN: 978-0-692-99241-8, $24.95) is available from Amazon. of your strengths and weaknesses, you won’t know what you most need to work on. The authors of Mind Tools for Managers offer this crash course in self-awareness. HOBOKEN, NJ (May 2018)–Without self-awareness, you can’t be a great leader. It’s just that simple. If you don’t have a good grasp of who you are–your strengths and weaknesses, the nuances of your personality, how others perceive you–you can only “fake” being a leader. You can’t lead in the authentic way that engages people and enables them to do their best work. And here’s the real problem: You won’t know what areas you need to work on. “Being a great manager requires skills in many different areas,” says Julian Birkinshaw, coauthor along with James Manktelow of “Mind Tools for Managers: 100 Ways to Be a Better Boss” (Wiley, April 2018, ISBN: 978-1-119-37447-3, $28.00). “Yet you can’t fix everything at once. You must apply your focus where you need the most help. That takes self-awareness. That’s why the authors made “Know Yourself” the first chapter in their new book. _Mind Tools for Managers_ identifies the 100 skills that a manager can master to become a better leader. They were identified in a survey of 15,242 managers and professionals worldwide. This research was conducted by James Manktelow, founder and CEO of MindTools.com , and Professor Julian Birkinshaw, deputy dean for programs at London Business School. The authors provide practical advice for each of these skills and direct the reader to the MindTools.com website for a deeper dive into specific skill-building articles, worksheets, videos, and more. But back to self-awareness: The authors’ study found this quality is deeply valued by many professionals. In fact, 59.8 percent of managers believe that it’s highly important to understand how their own behavior impacts other people. They provide five tips, excerpted from their book, to help you raise your self-awareness and be a better manager. To learn more about the Big Five Personality Traits model and discover strategies for addressing disadvantageous scores, please visit _The Big Five Personality Traits Model and Test: Matching Personalities with Roles_ (http://mnd.tools/1-1 ). To take an online Big Five Personality Test, please visit: http://mnd.tools/1-2 . LEARN YOUR PERSONAL STRENGTHS (AND WEAKNESSES). The SWOT analysis is a popular tool that helps businesses identify their strengths and weaknesses, but it can also help managers identify their own strong and weak areas. * Look at your strengths. What skills, certifications, or connections do you have that others don’t? What do you do particularly well? What resources can you access? * Examine your weaknesses. What tasks do you struggle to do well and why? What do the people around you see as your weaknesses? What poor work habits do you have? What’s holding you back from being fully successful at work? * Explore opportunities. Brainstorm emerging trends that excite you in your market or issues that customers complain about that you can address. And be sure to identify opportunities that come from your strengths. * Observe any threats. What could undermine you or cause problems at work? Is your job or technology changing in a way that could be worrisome? Could any of your weaknesses lead to threats? To learn more about personal SWOT analysis, please read Personal SWOT Analysis: Making the Most of Your Talents and Opportunities (http://mnd.tools/2-1). IF YOU DON’T ALREADY HAVE CLEAR PERSONAL GOALS, SET THEM NOW. Setting goals gives you long-term vision and short-term motivation, both of which you need to be a successful manager. That’s why the authors recommend that you invest a few hours in thinking about what you’d like your future to look like. Consider areas like career, family, education, relationships, personal finances, and personal enjoyment. To learn more about personal goal setting, including accessing a structured goal-setting program, please read _Personal Goal Setting: Planning to Live Your Life Your Way_ (http://mnd.tools/3-1 ). To learn more about SMART goal setting, please read SMART Goals: How to Make Your Goals Achievable (http://mnd.tools/3-2 ). MANAGE YOUR BAD MOODS. Just as we need to be appropriately self-confident as managers, we also need to be aware of and manage the emotions we project to members of our teams. From the moment we come in the door in the morning to the time we leave, people read our words and our body language. For our teams to be happy and productive, we need to manage negative thoughts and project positive emotions. More than this, we need to be positive for our _own_ good at work. The authors recommend cognitive restructuring–first developed by psychologist Albert Ellis in the mid-1950s–to improve negative moods or combat fear, apprehension, or anxiety about a person or event. Specifically they suggest a technique based on the seven-column Thought Record copyrighted by Christine A. Padesky, appearing in _Mind Over Mood_. To learn more, please read Cognitive Restructuring: Reducing Stress by Changing Your Thinking (http://mnd.tools/6-1 ). * Goldberg, L.R., “The Development of Markers for the Big-Five Factor Structure,” Psychological Assessment, Vol. 4, No. 1, 26-42, 1992, published by the American Psychological Association, Inc.
MANAGERS, HOW DO YOU SCORE ON THE “BIG FIVE” PERSONALITY TRAITS? The first step to being a great manager is to master self-awareness. That’s why Julian Birkinshaw, coauthor along with James Manktelow of _Mind Tools for Managers: 100 Ways to Be a Better Boss_ (Wiley, April 2018, ISBN: 978-1-119-37447-3, $28.00, MindTools.com ), says The Big Five Personality Traits model is so valuable. * Openness–your desire for new knowledge and experience, your appreciation of art and beauty, and your creativity. If you have low openness, you should commit to trying out new experiences and ways of thinking. * Conscientiousness–how much care you take with things and how hard you work. Managers must possess high conscientiousness or take firm action to develop it further–otherwise, no one will trust them to get things done. * Extraversion–how sociable you are. Are you warm, enthusiastic, and gregarious in social situations, or do you find yourself drained by social contact with people? Many modern workplaces favor a fast, team-oriented, extraverted approach. Introverts should adapt to this or find situations and roles that better suit the way they prefer to work. * Agreeableness–your friendliness and kindness to others. Agreeable people are often easier to work with. * Neuroticism –how volatile you are and how well you are in control of your emotions. People with high neuroticism are unsettling to work with, particularly in high-stress work environments. To learn more about The Big Five model and discover strategies for addressing disadvantageous scores, please visit _The Big Five Personality Traits Model and Test: Matching Personalities with Roles_ (http://mnd.tools/1-1 ). To take an online Big Five Personality Test, please visit: http://mnd.tools/1-2. _Mind Tools for Managers: 100 Ways to Be a Better Boss _(Wiley, April 2018, ISBN: 978-1-119-37447-3, $28.00) is available at bookstores nationwide, from major online booksellers, and direct from the publisher by calling 800-225-5945. In Canada, call 800-567-4797. For more information, please visit the book’s page  on www.wiley.com. Teachers, police officers, firefighters and other government employees generally receive a pension. The corporate world can offer benefit plans or matching contributions. But entrepreneurs can’t automatically rely on any of those features; instead they have to put saving/investing plans in place for themselves and their employees. And often, Small Business Owners (“SBOs”) aren’t preparing sufficiently for retirement. A survey of SBOs, conducted by BMO Wealth Management, showed 75 percent had less than $100,000 saved for retirement. * DECIDE HOW MUCH TO SAVE EACH MONTH. An ideal average for saving per month is 15 percent of your pay, Bender says. If that seems too much at first, you might ease into it. “To begin, you may start with 5 percent and then ramp up 2 to 3 percent each year,” Bender says. As a better gauge, he says, note that an employee with a 401(k) can contribute up to $18,500 of their salary for 2018 if they’re less than 50 years old. Someone aged 50 and over with a 401(k) can save $24,500 a year. A good goal is to try to match these amounts annually. * THE SEP IRA. As defined by the IRS, a Simplified Employee Pension (SEP) plan provides business owners with a method to contribute toward their employees’ retirement as well as their own retirement savings. “It doesn’t have the start-up and operating costs of a conventional 401(k) or profit-sharing employee plan,” Bender says. ”Your business pays no taxes on annual earnings, as it grows tax-deferred. * RULE OF 100. “Retirement accounts that offer the highest return may seem ideal, but a business owner who goes down this path can be easily overwhelmed and stressed,” says Bender. “As a business owner, you generally already have enough stress, which can manifest in so many ways. A basic rule to follow is known as the Rule of 100.” Under that rule, you subtract your age from 100, and what’s left over is the percentage of your portfolio you put into investments with some risk. For example, if you are 50, then 50 percent of your assets would be at risk and 50 percent would be allocated conservatively – placed in a bank account, or perhaps in an annuity, for example, to provide income for you in your future. * LIFE INSURANCE. A small business owner with a family should have 10 times their annual net income in life insurance. Bender says. “The life insurance can be set up to provide a Tax-Free income in the future, too, that a small business owner can draw from,” Bender says. * KEY PERSON INSURANCE. Like having life insurance to provide financial help for your family when you pass away, a SBO may want to consider “Key Person Insurance.” The death benefit offered through “Key Person Insurance” helps ensure that should a “key person” within a company pass away, there will be continuity of the business for its employees (and customers). Troy Bender, President and CEO at Asset Retention Insurance Services Inc., can be found at (www.asset-retention.com), and has more than 30 years of experience in the insurance and annuity industry. He started his career in the financial services industry as a bond and stockbroker with Merrill Lynch and then moved to Prudential Securities. In 1999, he started Asset Retention Insurance Services Inc. Bender also co-authored the book “The Ultimate Success Guide” with best-selling author Brian Tracy, and Troy has been featured on ABC, CBS, NBC and Fox affiliates around the country, and has been in Newsweek, Designing Wealth magazine, the Wall Street Journal and Forbes. Ca. License # OD73702. 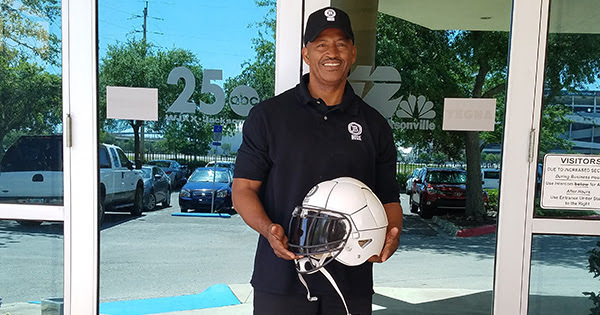 Nationwide (BlackNews.com) — Terry Lewis’ new innovative football helmet won Jacksonville, Florida’s One Spark 2018 Entrepreneurial Festival, Life Spark category. Moms and dads loved the concept that “kids brains matter too.” The Boss Helmet concussion impact reduction technology and design will help football players head on collision have a little less “brain shaking” on impact. Terry played his entire football career in Jacksonville, Fl. from PAL (Police Athletic League), Senior High School and a year of semi-pro. One high school game he remembered was when he had a head on collision with an opposing player. He stayed down on the ground and the trainers came out to the field to get him as he stumbled to the sideline. They sat him down on the bench and he told them he was alright. A few minutes later the defense went back on the field and he told them he was ready to go back in the game. The trainer asked him what the score was. He must have gotten it wrong. He looked for his helmet to go back in the game – it was missing. Apparently, the trainer must have taken it so he couldn’t go back in the game. They told him that he had a mild concussion and that was the end of his night. There is no reporting of concussions in the Pee Wee and Pop Warner league players, but we know they are getting their bell rung too. Terry’s solution to this problem is The Boss Helmet. This innovative helmet has the technology in it to slow down the impact on contact. This revolutionary safety helmet comes with four forms of protection to disperse the energy to reduce the speed of contact on impact from a player to another when they collide. (1) The outer shell is separated individually into 9 oval shaped panels to deflect the direct impact forces. (2) Shocks and bosses that absorbs the impact as it decompresses and disperses the impact energy. (3) The inner liner that protects the skull. (4) A specially designed padding system that is made out of a special type of memory foam. Terry believes that this is the best helmet for concussion impact reduction possibilities in the game today. The reason is because the mothers and fathers of future football players are very concerned about their children getting concussions. The whole football industry depends on the kids feeding into the sport, and Terry thinks he has invented a game changer with his new cutting edge technology with the Boss Helmet. He really needs the support of the community because he is an unfunded inventor who has used all his financial resources in the patent, research, engineering, and development of a prototype. But yet there is a final step. He needs $75,000 for the manufacturing, design changes, testing and marketing campaign. His mission is to bring to the market a safer helmet that will possibly save kids from concussions, and hopefully save the sport of football from its bad reputation of concussions. 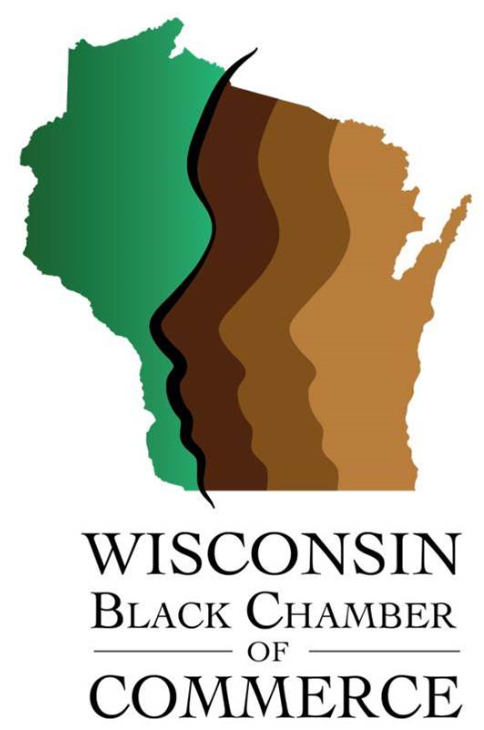 Black business owners who want to participate in the tourism industry in Southeastern Wisconsin, please come out to Rise & Grind Cafe located at 2737 N. MLK JR. Drive, Milwaukee, WI 53212 on April 21st so you can get connected to other members of the Wisconsin Black Chamber of Commerce, Inc. and learn what we are doing to circulate money in the Black community by directing Black dollars to Black owned businesses in our city. Enroll now in this exclusive educational opportunity designed to help Black business owners gain access to capital. Our information sessions provide an overview of the program and prepares you for the registration process. University of Phoenix has provided tuition and scholarship awards to qualified business owners to attend these online classes free of charge! Hear more about free classes at these information sessions.Get your business better prepared for tomorrow and register today. Click this link on the USBC Directory to register for this “free” class . Nationwide (BlackNews.com) — Teen entrepreneurs Essynce Moore and AJ Carr, both just 15-years old, are dedicated and determined to inspire, empower, and educate thousands of elementary, middle, and high school students in about 25 cities/states around the world. Essynce and AJ’s goals are to address concerns and issues in the schools to help eliminate all the negativity that’s present and embrace more of the positive. At just 13-years old, AJ Carr created the organization Building Bosses, a non-profit organization teaching the youth the importance of leadership, entrepreneurship, and service. He created “Building Bosses” to help the youth to explore & cultivate their talents, promote leadership & positivity, build character through self-esteem by teaching self-worth, & encourage our youth to become productive members of society. Building Bosses is a program that pairs young people with successful, local business owners who provide guidance and ongoing mentorship. 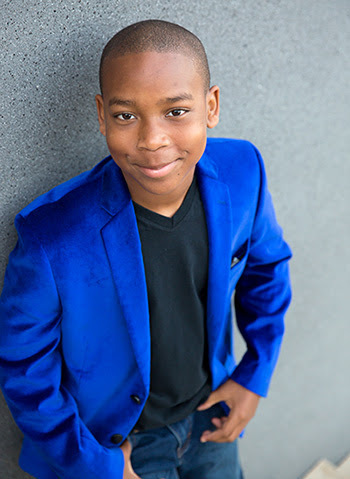 Today, AJ is a 15-year old public speaker, as well as a professional SAG actor. He currently has a recurring role in the new Showtime series The Chi, created by Lena Waithe & produced by Common. He has had co-starring roles on NBC’s Chicago PD, PBS’s Mercy Street, and most recently, the FX series Atlanta. AJ is an amazing actor, but it’s what he does with his personal time that makes him so extraordinary. AJ is a professional public speaker, who recently did a TedTalk. 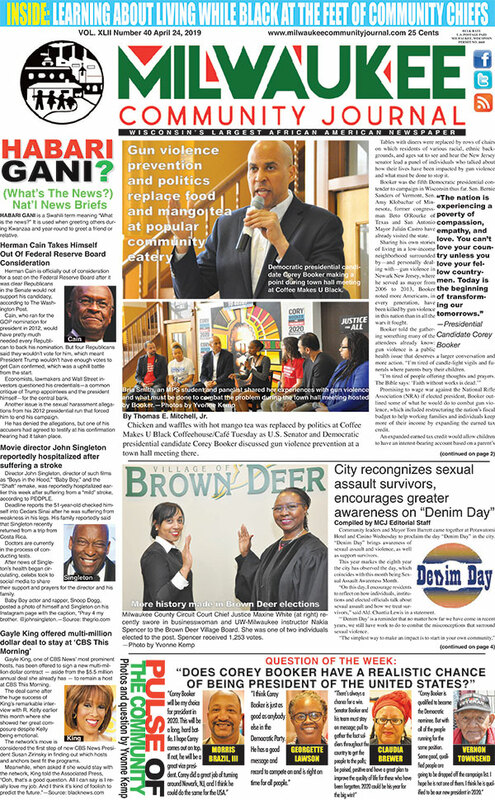 He travels to different cities to speak to young people, and host “Youth Empowerment Events”. He works very hard to inspire positive change in the community, and he has had many accomplishments at such a young age. There have been many news stories about him and the work he does. He was featured on the front page of the CapTimes, he has received 3 letters of commendation from The White House, & a documentary film has been created about AJ entitled “AJ Carr”, and it will be shown in schools in multiple states. AJ strives to make a difference in as many young lives as possible and inspire positive change. At 13-years old, Essynce Moore started Essynce Couture University (ECU), a division of Essynce Couture, LLC to teach the youth about its four pillars: Entrepreneurship, Integrity, Education, and Leadership. Essynce created Essynce Couture University to have our Youth be able to teach their peers about the four pillars, as well as, prepare them with life style skills that’s rarely taught in schools. Today, Essynce is a very well-known 15-year old author who has written three books that are mandatory readings for several school district curriculums including Hillside, NJ School District; Brooklyn, NY Charter School(s); and Orange, NJ School District. Her books are a part of a series that she created called The Middle School Chronicles! The books can be used to prepare students for Middle School, assist with self-esteem, bullying, conflict resolution, youth empowerment, and so much more. Essynce is also a fashion designer who started her own clothing line, branded “Essynce Couture”. In 2015, she launched Essynce Couture Spa and Boutique exclusively for children, tweens, and teens to give the youth a place of their own to visit and be pampered, inspired, and educated. Essynce is an entrepreneur, child’s fashion designer/stylist, author, actress, celebrity, motivational speaker, and fashionista that brings a positive vibe to her peers and others. She’s been in numerous films, fashion shows, pageants, karate tournaments and has spoken at numerous conferences and/or workshops around the world. She has showcased at both NY Fashion Weeks and Atlanta Kids Fashion Week while also ripping the runway. She has been featured on BET, Verizon Fios News, BlackNews.com, MadameNoire, The Record newspaper, The Epoch Times newspaper, and a host of other news and media outlets. In 2014, she was interviewed and featured on NBC (Channel 4 News), Jeff Foxx of WBLS FM, BuzzFeed, Yahoo, & Verizon Fios Channel 1 News. Essynce is also a member of the New York Youth Chamber of Commerce (NYYCC). The purpose of the “Youth Empowerment Tour” is to empower and inspire the youth by discussing entrepreneurship and living your dreams, as well as, addressing bullying, self-esteem, and creating a forum where the youth can openly address the many issues that affect their communities, schools, and households every day. 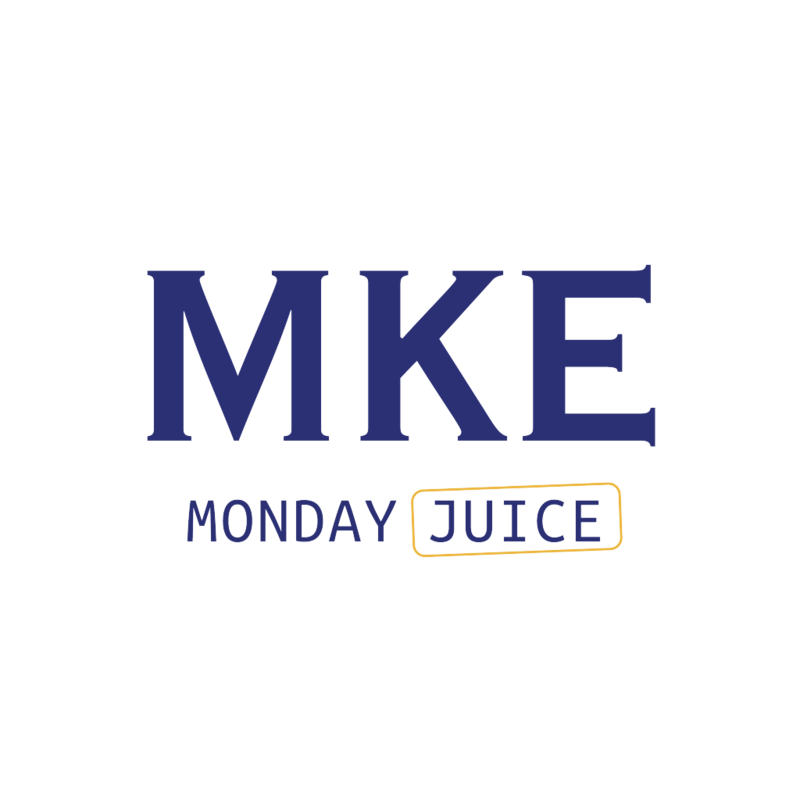 We encourage them to suggest possible ways they can make a difference in a “non-judgement” zone. Young men, women, and children die everyday in cities all across the country at the hands of other young people. Many of them are also being attacked because of the color of their skin, being unique, and unfortunately some have to fear for their lives everyday. 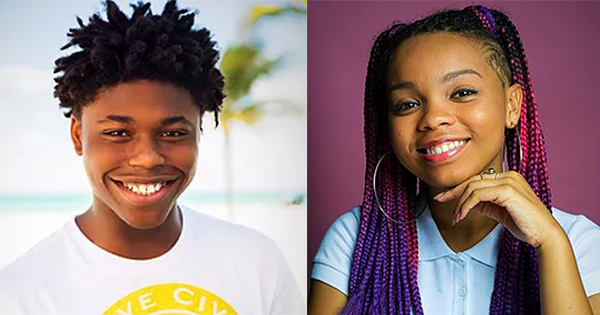 Essynce & AJ are both successful young entrepreneurs who want to help young people recognize how valuable their lives are and give them the encouragement to unite and become leaders in their communities. 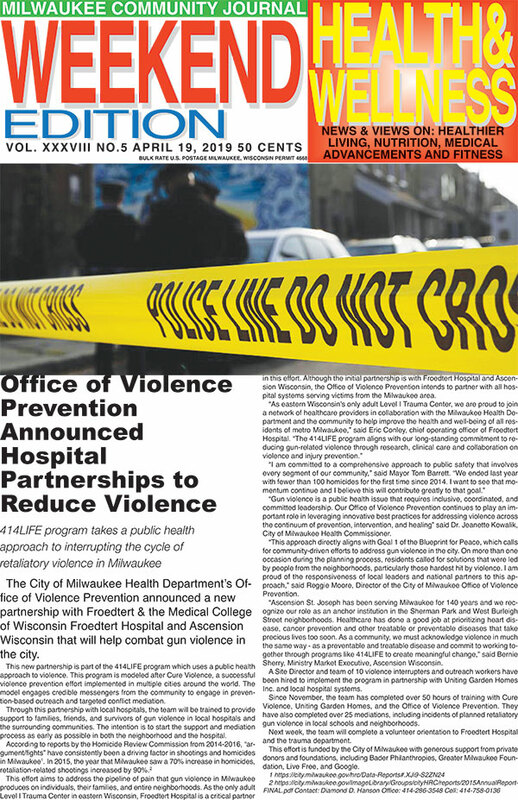 They want to connect with the youth and invite them to openly discuss the issues they feel affect their community in a negative way by shedding a positive light on how to deal with the situation(s). 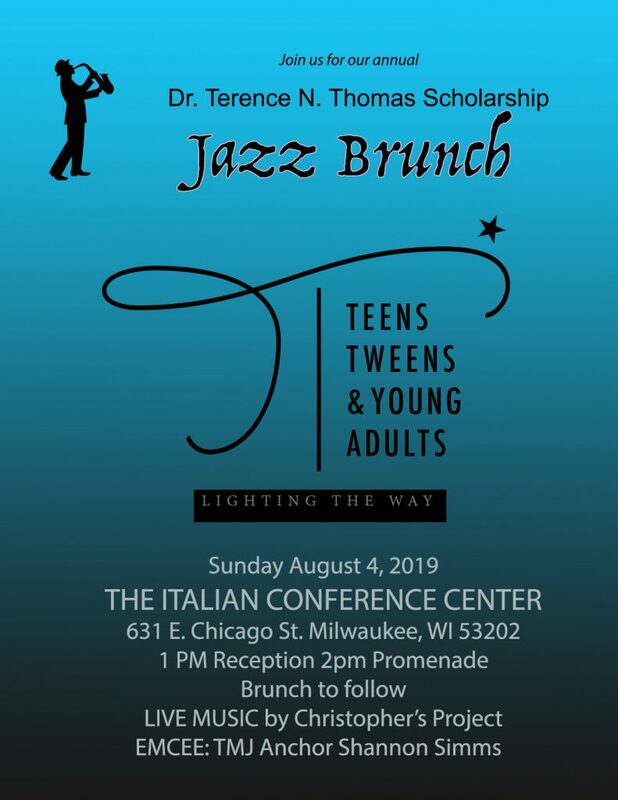 The panel will listen to the youth, as well as, provide them with positive suggestions of ways they can rise above their circumstances and actively work toward accomplishing their goals. They need your assistance by sponsoring (sponsorship packages are available via their website), donating, and getting involved in this collective effort. Much of what keeps a business operating and profitable lies not on a store shelf but deep inside a computer system, where critical information such as inventory, customer mailing lists, employee files, sales records and vendor information is stored. But a hacker or a system failure can wipe out years worth of carefully preserved records in an instant, potentially putting the business out of business. “Business owners often don’t realize just how precious their data is until they can’t access it,” says Penny Garbus, co-founder of Soaring Eagle Consulting Inc. (www.SoaringEagle.guru ) and co-author of _Mining New Gold – Managing your Business Data_. How much effort businesses put into keeping their data safe reflects how important they think that data is, she says. And some business owners don’t seem to think it’s important at all – until it’s too late. * STEP BACK AND TAKE A FRESH VIEW OF YOUR DATA. What information is there that you may have overlooked, but could help improve your business? 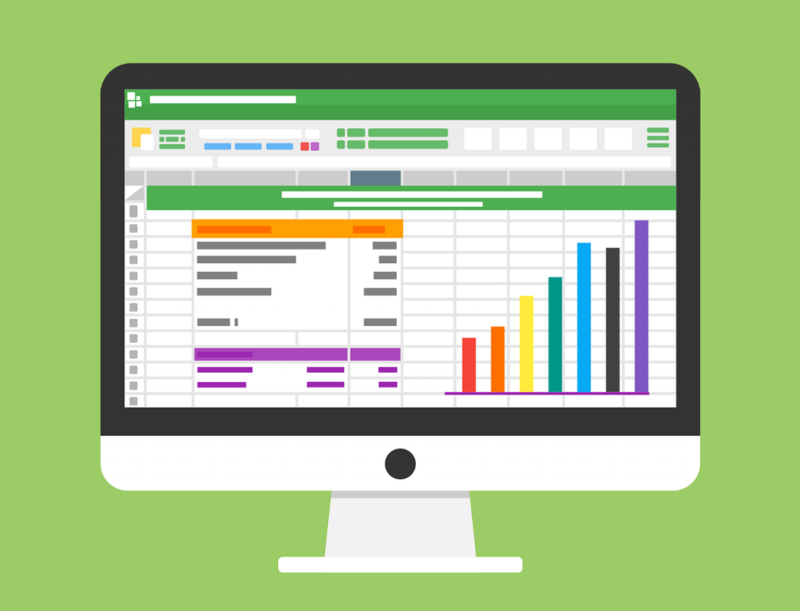 Don’t just look at the same reports you regularly view. If necessary, Garbus says, ask the IT staff to send a few rows with column names and metadata information intact to see what is stored vs. what data you are routinely accessing. Then review this data; look for patterns or stories that have been left out over time. Delve into the past; what has changed? For example, did you see a once hot item turn cold? Dig deep. Your data may have value you don’t even realize until you review it. Penny Garbus, co-founder of Soaring Eagle Consulting Inc. (www.SoaringEagle.guru ), is co-author of _Mining New Gold – Managing Your Business Data_. She has been working in the data-management field since leaving college when she worked as a data entry clerk for Pitney Bowes Credit. She later ran the training and marketing department of Northern Lights Software.